Curly turned 5 years old a couple of weeks ago so we celebrated by having a trip to Drusillas Park. We've visited Drusillas many times in the past, which included when the Hello Kitty Secret Garden opened, and naturally the boys wanted to go there for another fun day out. 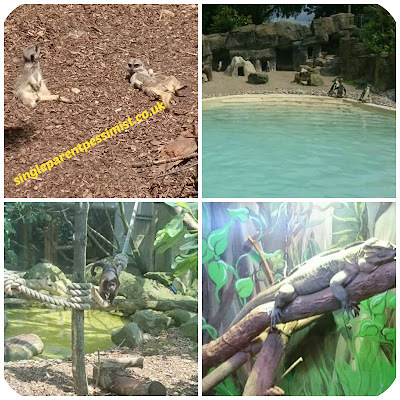 The park, based in Alfriston, has a great mixture of animals, history, learning and play activities to both entertain and exhaust your children. As you enter the park there is a great indoor display about animals around the world, as well as scales to find out what animal you weigh the equivalent to. There's no way I'm letting you know which animal I was! The boys collected books to stamp as they spotted various animals around the zoo part of the park, and as soon as we started the tour we were greeted with a large snake, lizards and monkeys. We then saw flamingos, llamas, guinea pigs, donkeys, cows, chicks, penguins, sunbathing meerkats, otters, and many more! There's also a creepy crawlies section which features lizards, snakes, turtles and tarantulas. New animals to the park this year include Pip the Parma wallaby, four bottle-fed lambs and a baby saki monkey. Throughout the park there are little activities that children can participate in which are quite educational, from guessing the sounds each animal makes, timed running tests to see which animal you are as fast as, to screaming inside a telephone box to compare your decibel depth to that of many animals. 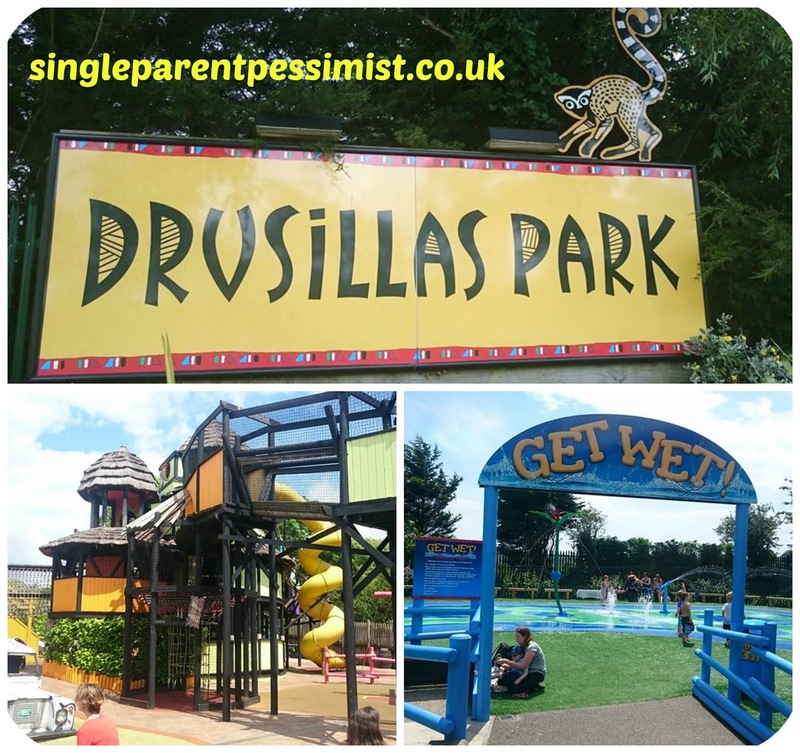 This year Drusillas Park has some new attractions which includes the amazing Get Wet! splash pad. This section is a great paddling pool area that features flower fountains, palm trees and water sprays. There is also another large paddling pool opposite Hello Kitty Secret Garden, so there's no danger of either getting over crowded. I love the new Get Wet! section because it's perfect for summer. I wish it would get warmer so we could have actually enjoyed it, but I'm seriously considering getting an annual pass so we can spend warmer days by the paddling pools and playing in the huge adventure playground they have. 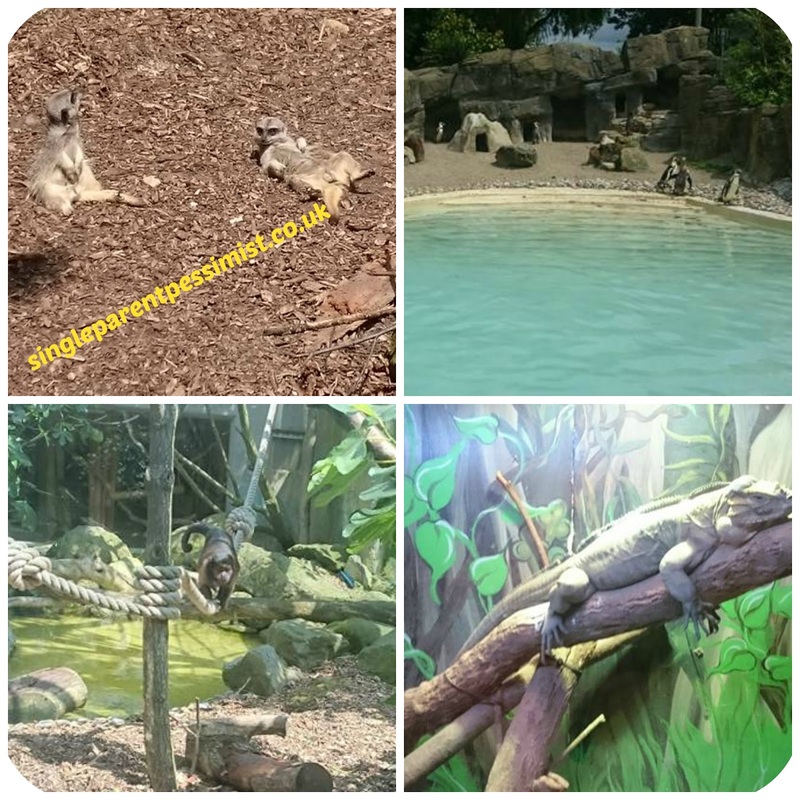 Chunk and Curly love the zip wires and banana boat swings, as well as the huge climbing frames and slides within the adventure playground. There's plenty of benches so you can sit and watch them burn energy which is perfect for lazy old me! The boys love the Hello Kitty Secret Garden because they love the car ride and the teacup ride. 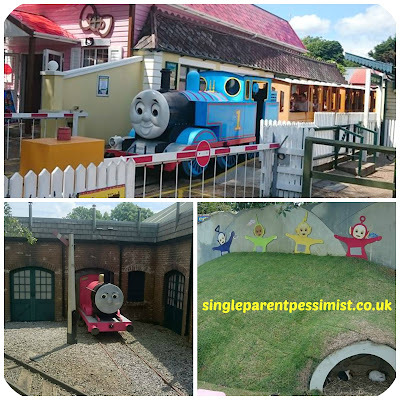 We went on these quite a few times that day, before we got to go on the Thomas the Tank Engine train ride. This will be the last year that Thomas will be at the park, as next year it will be a safari-themed train, so it felt quite special to go on it, as we've been on it every year of Chunk's life so far! Overall the kids (and us adults) had a brilliant day like we do every time we go there, and I only hope I can manage to organise another day there before Thomas leaves! We were given tickets to the park in order to review the park. All opinions are honest and my own.